Found in Polk County, Florida, Winter Haven is a city with a population of about 36,300 residents. It's very close to Lakeland and the area is home to many different lakes. The lakes and warm climate attract many snowbirds and visitors to the area every single year. This makes the peak season population much higher and the road become far more crowded. While Winter Haven may not be the largest attraction or city in the area, it's still very dangerous for drivers. The Florida stretch of I-4 is known as the third most deadly highway in the United States. The many lakes found throughout the area make driving a bit more difficult, especially for visitors unfamiliar with the roads. Many major roads serve the area including US 17, US 27, State Road 540, State Road 542 and State Road 544. These major roads can become very dangerous as visitors arrive for the peak season. If authorities don't issue tickets and monitor the roads, the accident stats will get out of control. In 2015, officials in Polk County issued about 45,000 traffic tickets to drivers. About 16,000 were for speeding and norther 8,200 were for running a red light. Careless driving tickets topped 3,500 and this is the number one cause of accidents in Florida. Judges only dismissed about 4% of the total number of tickets. Your chances of getting out of the ticket are rather slim. The State of Florida has the ability to suspend your driver's license if you get too many traffic tickets. They give you plenty of chances, however. All traffic tickets are assigned a point value, which goes on your driver's license after you pay the ticket. Points cause your insurance to go up and too many cause your license to be suspended. Just 12 points is enough to earn a suspension and it only gets worse the more points you get. If you become a habitual offender, you may become very familiar with the local taxi companies. It's easy to end up with a suspended license if you habitually break the traffic laws. Traffic school is one of the best ways to keep the points from a ticket off your license. You will not be able to get out of the fine, however. 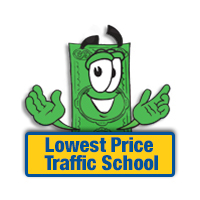 After you plead guilty or no contest to the ticket and pay the fine, tell the clerk of the court you will be enrolling in online traffic school. Then, sign up for the basic driver improvement course and complete it. You will be issued a certificate of completion, which you just turn in to the clerk of the court. All of this can be done from the comfort of your home online and you won't have to worry about any points on your license or you insurance rates going up. Many drivers don't realize they are eligible for traffic school in Polk County. Maybe you took the course years ago with your first ticket and you don't think you're allowed to again. 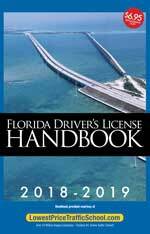 Florida drivers can actually use traffic school to avoid points up to five times. However, you are limited to using it just once every 12 months. If you're not sure about your eligibility, you can check with the clerk of the court. No matter which branch of law enforcement issues the ticket in Winter Haven, you will deal with the Polk County Clerk of the Court for payment and information. They will take your certificate of completion from traffic school, too. If you need more information about the Polk County Clerk of the Court, you can find it on their website.